Elegant maxi dress from Culture with beautiful details. Truly a beauty! The long dress is lovely in quality and is absolutely comfortable to wear. 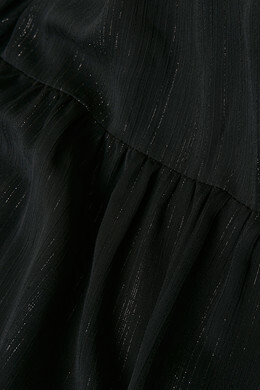 Furthermore, it has a relaxed fit, 3/4 sleeves, button closure and cute ruffles at the bottom. The elegance of the dress is reflected in its transparency, discreet glitter effect and simple undergarment dress. 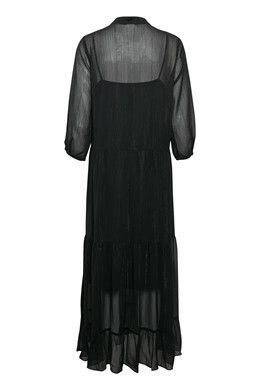 The beautiful maxi dress is undoubtedly a must-have for the season's many parties and events.